At Dizzy Rhino we’re no stranger to a good party, so it should come as no surprise that we LOVE Halloween! It’s a holiday that’s a buzz of activity for the whole family and a time when we mix reality with fiction to allow the imaginations of our little monsters to run riot. 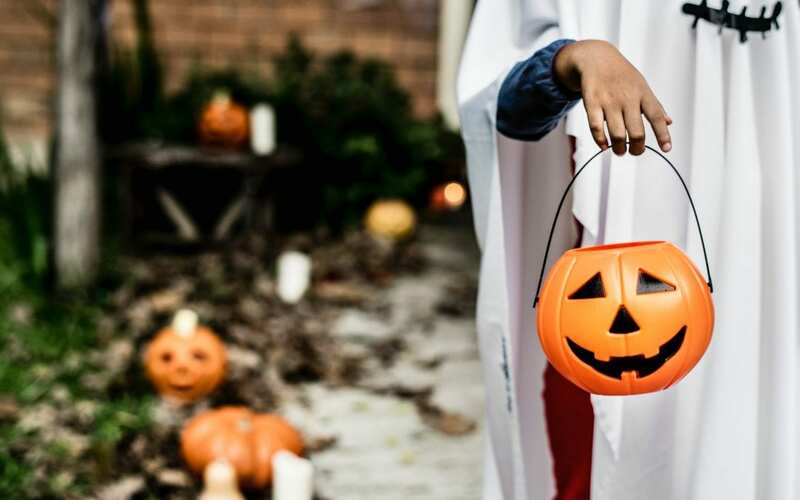 Consider some of these safety tips to ensure your trick-or-treating expedition is full of laughter and no disaster this season! They look cute don’t they; even with face paint and fake blood splattered all across their face (and half the sitting room)! It’s important to remember that the kids will be around open flames and the costumes should be fire safe, check the label before you buy and avoid flammable hairsprays. LED lights or glow sticks will make sure your little ones are seen by road users and can be incorporated into any costume easily. It’s the one night of the year we actually tell our kids that it’s ok to take sweets from a stranger! If your kids are older and you’re not chaperoning them, then make sure they don’t go alone and never go inside a stranger’s house. It’s best to plan their route in advance; make a treasure map to increase the fun factor! Pumpkins are a great way to let the kids get involved with the preparation for Halloween, but with the younger ones carving can be a real danger. Let the adults do the carving and let the young children draw faces on pumpkins with art supplies by decorating with markers, glitter glue or paint. To avoid the potential for burns, use an LED candle, glow stick or torch for a safer alternative to candles. It would be an awful disappointment for us (never mind the little ones), to have our treats taken away. However for many with allergies, diabetes or other dietary requirements it’s a necessity. Prepare a route with friends and family who can provide the appropriate treats or trade the weight of their evening’s hoard for a safe alternative once you’re home. If you can’t go door to door this year then jump straight into the festive feeling by throwing a Halloween party at home. Stock up on a variety of treats and invite your friends and family around for a creative celebration of all things spooky! You may need to take a little time to prepare ahead for Halloween, but these safety tips can help you make sure that the whole family has a fun and safe time.